Jazz UP Your Holidays in Southeast Queens! Jackson Room, in St. Albans, Queens, are understandably feeling especially thankful as they go into the holiday season. "They are reflecting well on the positive developments over the last year and the great memorable musical moments with warm memories" says Ed Jackson, owner of the local jazz club . "We have just finished one of our most popular performances this year - The Jazz Collective Brings it Home, which was an overwhelming great success according to Mr. Ed Jackson. He then thanks his supporters for their continued patronage. 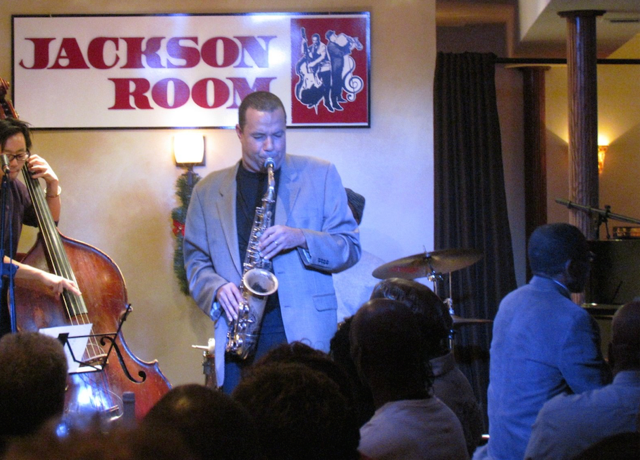 Jackson then admonishes jazz lovers in the area to move forward into this festive time of the year with a sense of joy and look to "Jazz Up Your Holidays!" Jackson and the staff at Jackson Room, want residents in the NYC area to go into the Holiday Season and enjoy it from an exhilarating high note. During this time of year Jackson Room's owner can't help but pause, reflect, and look to join with other friends and loved ones to musically celebrate treasured sacred traditions. Jackson Room's goal is to goes forward from this level of heightened enthusiasm and therefore presents their next high energy performance on Saturday, November 29th entitled "Jazz Up Your Holidays!" "Jazz Up Your Holidays, will jump start your holiday season with heightened musical upliftment and set an exhilarating spirited tone for the season" further claims Ed Jackson. Come on out and experience this important occasion only made possible due to the invaluable patronage and efforts of this neighborhood jazz establishment. Make your Reservation now.